Enjoy carefree Chautauqua Lake Living, in this unique cedar log home, lakeside community. Nearly 100 feet of prime lake rights with adjacent green common area is steps from your front door. 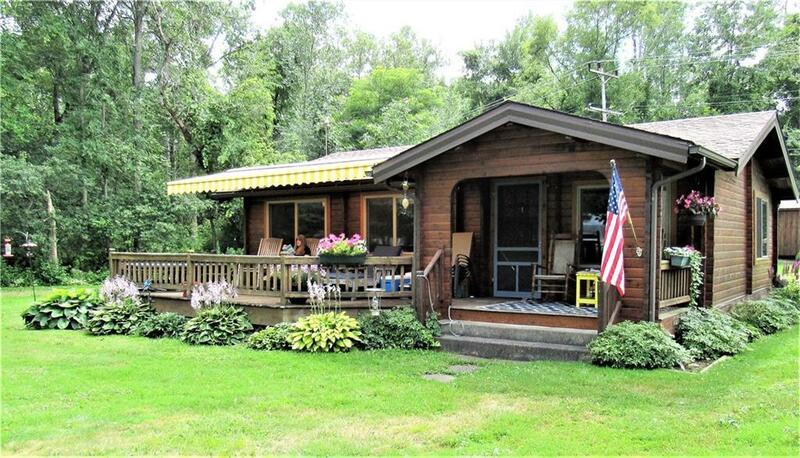 This charming 3 bedroom 1 bath cottage features vaulted ceilings, large front deck with beautiful lake views and retractable awning. Recent updates include but not limited to: roof, furnace and central air conditioning. HOA includes Common Well, lawn maintenance, snow plow, dock in/out and garbage collection. Located less than 2 miles from the Chautauqua Institution at the very desirable north end of the lake. Make this your year round, seasonal or investment property today! Nearest Cross Street: W Lake Rd.